bintang is jealous. seeee?! and Cyborg doesn't look too happy either.. Wallpaper and background images in the teen titans club. seeee?! and Cyborg doesn't look too happy either. funny lol. 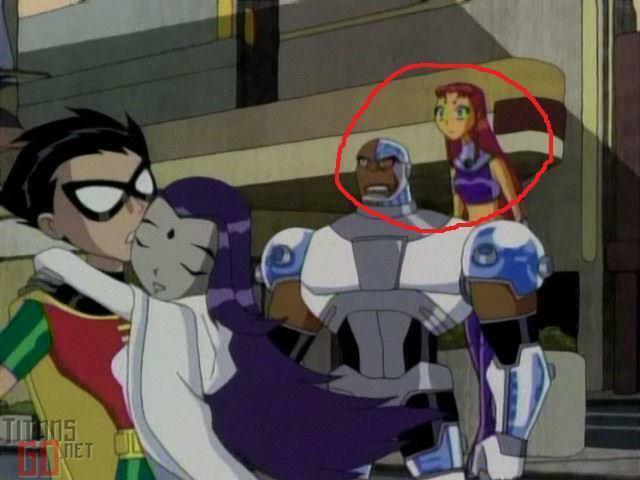 this pic shows that starfire likes robin and that cyborg likes raven. cute some evidence support rob/star and cy/rae. laso i ship both of those couples.